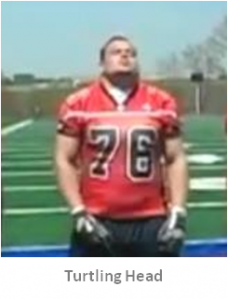 There’s no position that requires more discipline or technique than offensive lineman. 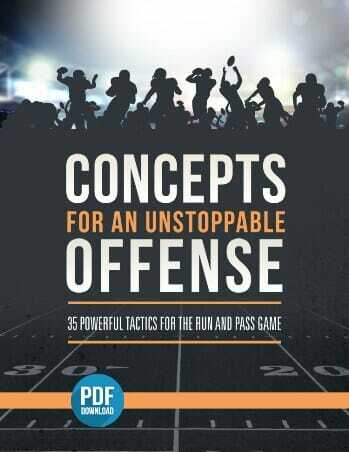 Success as an offensive football team hinges on their ability to control the line of scrimmage. It all starts with the basic fundamentals. 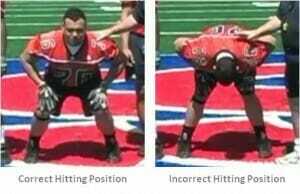 The Pre-Set, Stance and Hitting positions are the foundation an offensive lineman will build from. Players must master the mechanics of these positions to ensure successful blocks and reduce the risk of injury. This starting position gets a player ready to comfortably and steadily move into a Stance position. Feet at shoulder width apart. Toes pointed inward or pigeon toed.This allows for some movement with the feet as he works into a stance and the feet straighten out. Heels ¼”off the ground.Never flat footed- this will give away whether it’s a pass or run. Drop tail and sink hips. Getting into the proper Stance position is important. Players must be able to do this quickly and naturally. From this position a player should be able to either run block or pass and set block. 50% of weight on balls of feet, 50% on fingertips. Look through the eyebrows.Do not pull the head back and strain the neck. Hand down, even with knee with fingertips on the ground. Off hand is cocked beside knee. Getting into the correct Hitting position is essential to utilizing a player’s strength and reducing the risk of injury. Create a tripod from the hairline of the head to the heals of the hands. The head should always be up. Never drop the head down as this is a player’s weakest position. Think of a “Power Line” from the feet all the way up through the top of the head. That “line” is broken when a player is bending over with his head down. Turtle your head as you get ready to make contact by shrugging the shoulders up around neck. This will protect the head and neck. Once players have mastered the basic positions, you can begin teaching basic blocking technique. 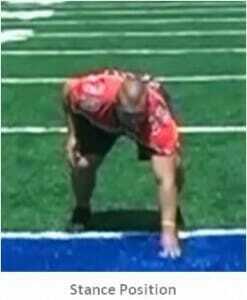 The following offensive line drill is great for helping o-linemen get out of the Stance position quickly and efficiently, and take a small, controlled first step. 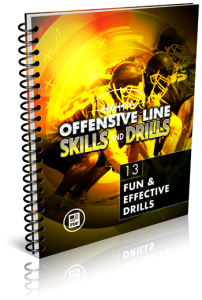 The Offensive Line Skills and Drills eBook breaks down 13 simple, fun and effective drills every coach should know. You'll learn everything, from basic blocking technique to advanced in-game tactics. 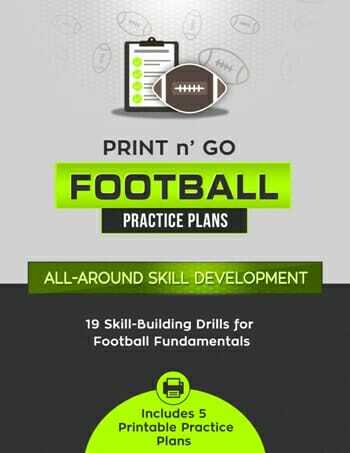 Best of all, it's delivered in PDF format, so you can download the drills directly to your mobile device, save them to your computer, or print them out and distribute to your coaching staff. 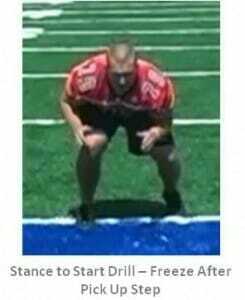 This drill can be performed by any number of players standing anywhere on the field. The coach should be nearby to call commands. The players should begin in the Pre-Set position. The players move into the Stance position. The coach should walk around the players evaluating form and make corrections where they are needed. The players take a pick up step and freeze in that position. Thumbs come toward breastplate (like cocking a gun). 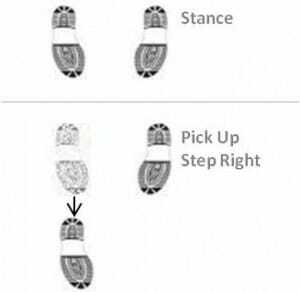 Pick up the indicated foot and move it slightly forward. Set it down and freeze. The coach will again evaluate form and make corrections. Hands should be open with thumbs cocked up. The player should be balanced. Pads are parallel the over knees. This should be a high repetition drill. The more it is practiced the faster a player will create muscle memory. The worse thing to do on the first step is to overstep. If his step is too wide and he makes contact with a DL, he will corkscrew and come off the block. Always have both feet on the ground when making contact with a DL. 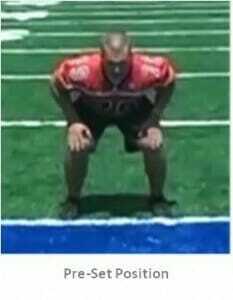 3 replies to "Stance to Start – Offensive Line Drill"
Seeing and reading is s great help for working with kids with visual processing disorders (VPD). These Coach Steve Products help me be a better coach for my players. I played O-line all through my career. Started when I was in pee wee and played all 5 spots plus tackle eligible and long snapper. I was a All-American and won a few awards during my 4 years in college. I just want to say your comments on line are spot on. Very difficult to understand the position and even harder to coach unless you played it. I coach middle school and we took a team who barely won in pee wee to the championship game in our league. The whole change was the fact the boys actually were coached at the OL and DL positions. If a team is not fortunate enough to have a coach who played they need to get your basics. They are spot on in building the right fundamentals which will allow the player to build upon in the upcoming years. What made me successfull was I had the correct fundamentals and learned as I went. I am more a visual person so this example of stance is the perfect tool for me and my players. 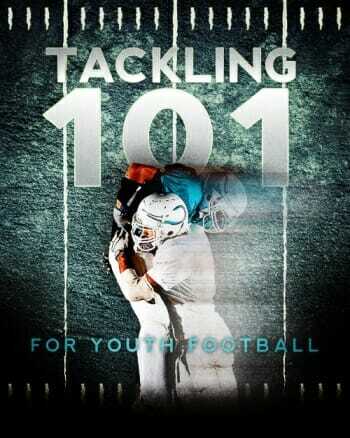 Coach Steve is perfecting my job as a coach and giving me the missing tools I need to perfect my young athletes.